Well, here’s something you don’t see often, let alone in September. On Wednesday morning, the Table Mountain Cableway on Instagram reported that snow had begun falling at the Upper Station near the mountain’s summit. 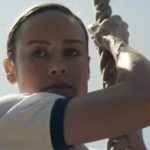 A video was also included for non-believers, and those experiencing immense FOMO. 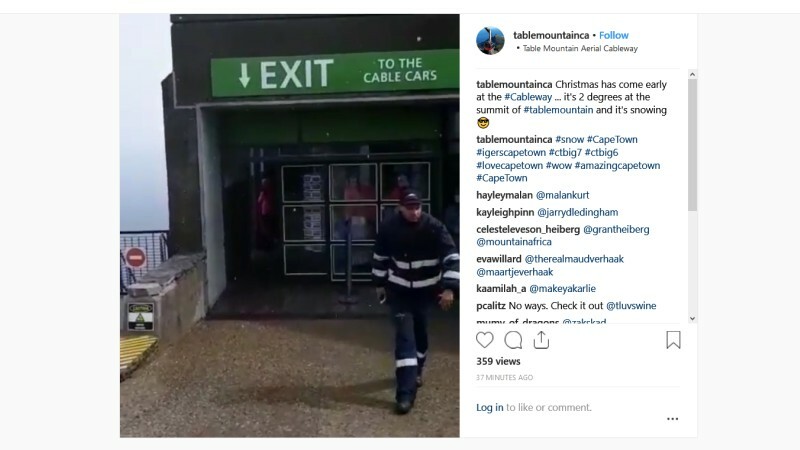 “Christmas has come early at the #Cableway … it’s 2 degrees at the summit of #tablemountain and it’s snowing,” the company wrote in the post, published around 11am Wednesday. The video itself shows scattered snowflakes falling, while visitors to the mountain clearly wished that they had packed gloves and puffer jackets. The same video was then posted to Twitter, which has received just under 1000 views since time of writing, with 35 retweets and 40 likes. It’s not the first time we’ve seen snow on Table Mountain this year. In late August, a dusting was spotted at the summit ot the 1067m tall mesa, after a strong cold front lashed the Western Cape.